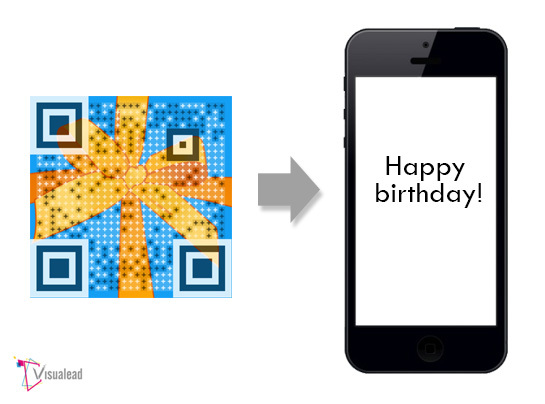 If you would like to send a greeting for someone's celebration or send a text message, Visualead can help by sharing text using a QR code. You can easily create a QR code that contains a text message that you would like to send to your recipients. All you have to do is embed the QR code message in the text box provided in the Visualead platform. Every time your clients scan this code, they will automatically see the text you sent. The text could contain information about a new product you just launched or services you offer. It may also be a text to remind your team about particular rules in your company. The possibilities are infinite.